There’s an epidemic sweeping through the content writing industry. People are spending more time curating other people’s content than crafting their own original pieces. In a world where it’s easy to simply grab something from someone else and share it with your audience, you may be falling prey to this dangerous trend. You may assume that convenience is the primary issue; however, a lack of confidence may be to blame. Confidence is a fickle thing. One minute, you can have all the confidence in the world and the next moment it’s gone. There are so many different factors in play and the average person has a pretty poor outlook on their potential. When you look at writing, in particular, this means confidence isn’t tied to your talent as a writer, but in your belief that you can be successful. Once you look at it through this lens, it becomes apparent that a lack of confidence can have a tremendously negative impact on your efforts. A lack of confidence can hurt you in ways that impact you both now and in the future. It either causes you to copy what others are doing, write tentatively, or stop writing altogether. None of these outcomes are good and will ultimately lead to your downfall if confidence isn’t rediscovered. How can you regain your confidence as a writer? There are different strokes for different folks, but the following pointers should prove helpful. It’s much easier said than done, but the first key to growing your confidence as a writer is to delay doubt. This is a concept that works in a number of professional pursuits – and something that successful guitar teacher Tom Hess has discovered to be important when helping his students. Hess feels like most guitar players never realize their full potential because they’re skeptical, impatient, and afraid to have faith in themselves and the process they’ve outlined for reaching their goals. In other words, they lack confidence. While Hess has a lot of tricks up his sleeves for teaching guitar, he can only help students who are able to conjure up some faith in themselves. As a writer, you have to do the same. Before you can grow your confidence, you have to delay doubt and kick skepticism to the curb. Cliché as it may be, practice makes perfect. While practice hones your skillset, it also gives you more confidence through repetition. The more you do it, the less intimidating it will be. 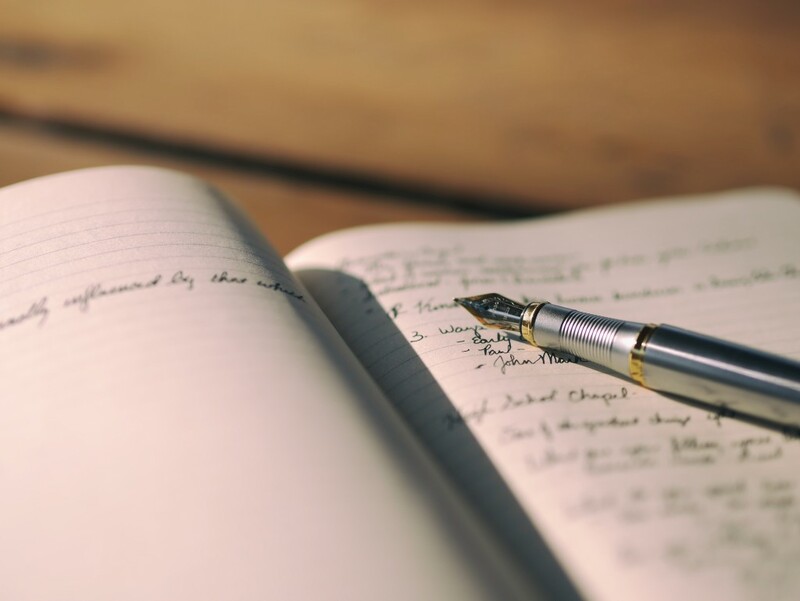 Take 10 minutes each morning and afternoon to do a writing exercise in an area that you aren’t confident. For example, if creative writing is your weakness, spend 10 minutes answering a creative writing prompt. If it’s business writing that kills you, take the time to write up a quick case study on some data. Because confidence is an emotional asset, it’s something you can mentally rehearse, regardless of where you are. Warrell strongly believes in the human brain’s ability to mentally overcome confidence blocks. The problem a lot of writers have is that they get some negative feedback from someone – a reader, editor, client, etc. – and those harsh words end up destroying whatever confidence previously existed. Then, they stop gathering feedback out of self-protection and never get to enjoy the constructive benefits of affirmative feedback. In order to grow your confidence as a writer, you must be willing to open yourself up to feedback. It’ll hurt at first, but you’ll eventually come to love the refining qualities of the experience. It’s best to surround yourself with a community of people that you know, but it’s also helpful to get some feedback online. Here are some good resources. The more you understand what good writing looks like, the better prepared you’ll be to write good quality content. That’s why one of the best things you can do is immerse yourself in other people’s work. In other words, reading (with the intention of studying) will help you become more confident by giving you the ammunition you need to thrive. One of the worst things you can do for your confidence as a writer is quit in the middle of a project. Since quitting is almost always a byproduct of feeling discouraged, the act of stopping compounds the underlying problem. Not only are you frustrated with your abilities, but you’ve now given up, essentially telling yourself that you aren’t good enough to see the project through. No matter how terrible you think a piece of content may be, always see it through. If nothing else, this gives you the confidence that you can finish what you start. Nobody can instill confidence in you. You must find it yourself. The good news is that confidence isn’t tied to your abilities. And like all emotions, Warrell is quick to point out that confidence breeds confidence. 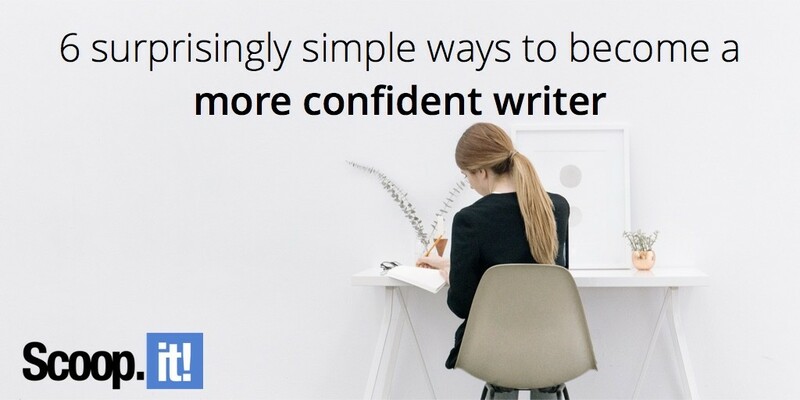 All it takes is a little bit of confidence and you’re well on your way to becoming a better writer. Larry Alton is a professional blogger, writer and researcher who contributes to a number of reputable online media outlets and news sources. A graduate of Des Moines University, he still lives in Iowa as a full-time freelance writer and avid news hound. Currently, Larry writes for Inquisitr.com, SocialMediaWeek.org, Tech.co, and SiteProNews.com among others. In addition to journalism, technical writing and in-depth research, he’s also active in his community and spends weekends volunteering with a local non-profit literacy organization and rock climbing. Can content marketing increase your website’s conversion rate?